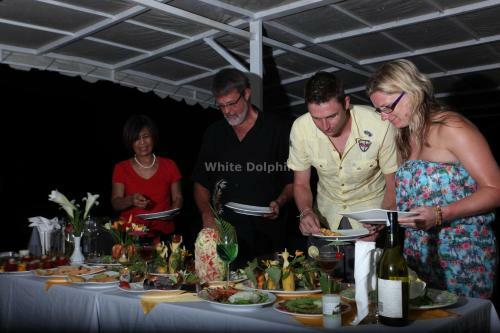 White Dolphin Cruise offers a unique cabin experience on board a wooden boat. 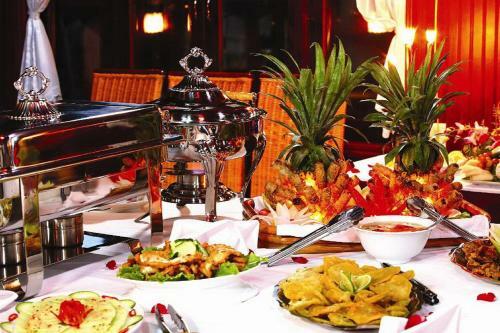 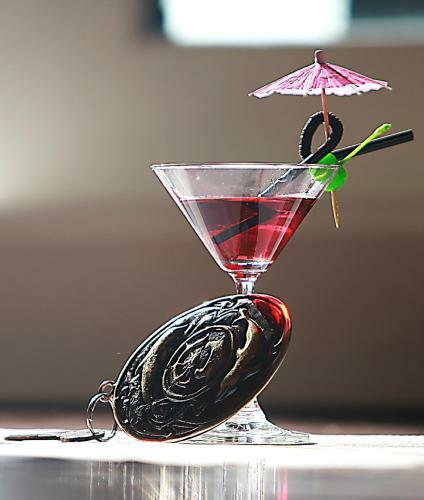 Featuring a blend of traditional Vietnamese and modern decor, it has a multi-cuisine restaurant and bar. 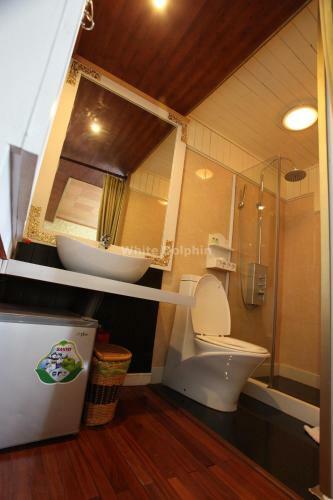 Cabin rooms on White Dolphin Cruise come with a minibar. 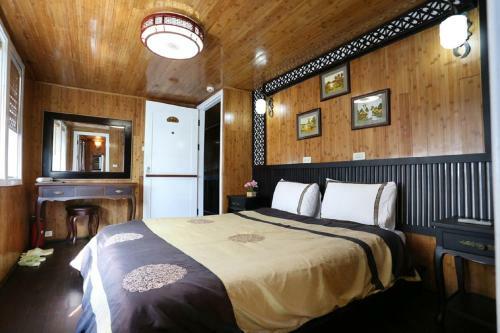 Each room offers air conditioning and a private bathroom. 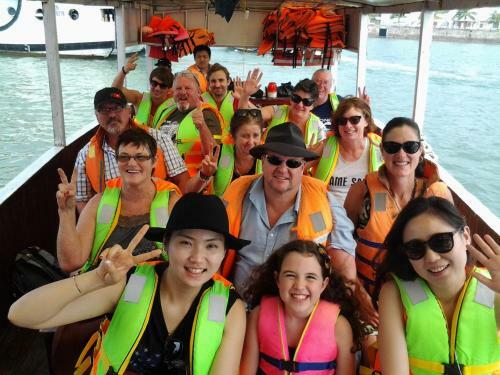 Safety equipment such as a life vest and fire extinguisher are provided. 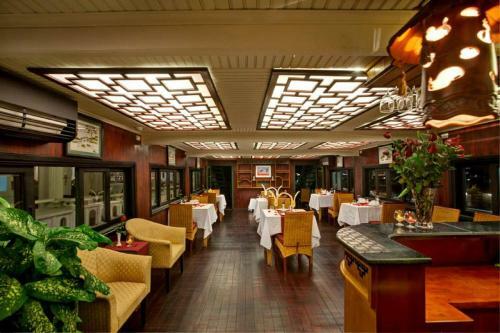 For leisure, guests may soak in the sun on the boat’s sundeck. 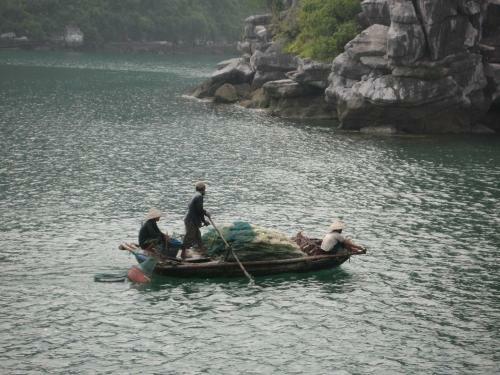 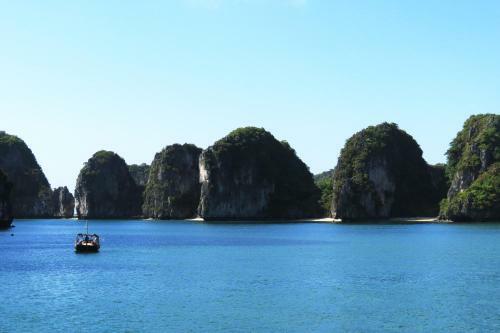 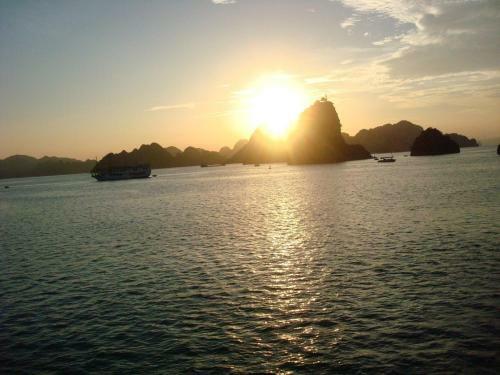 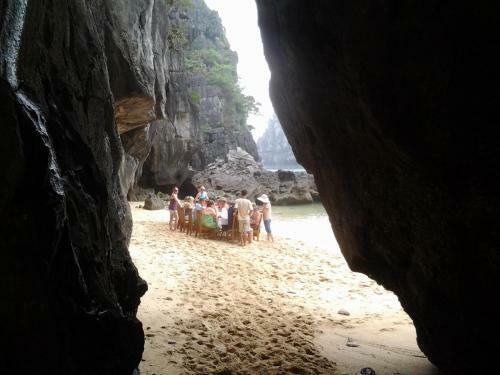 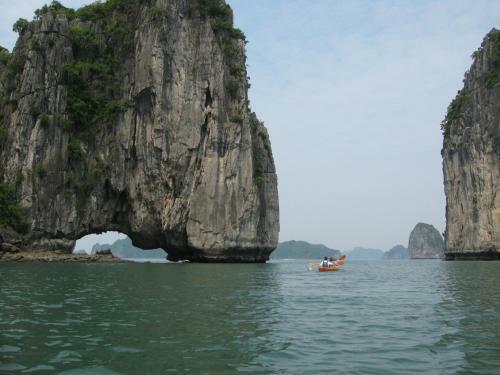 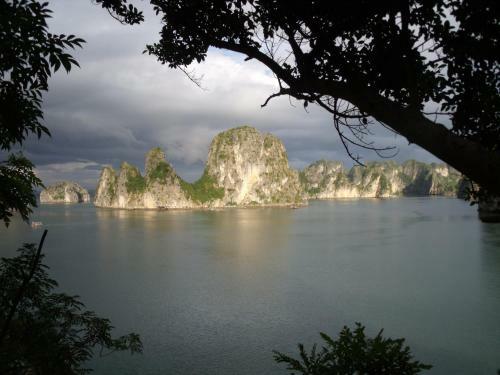 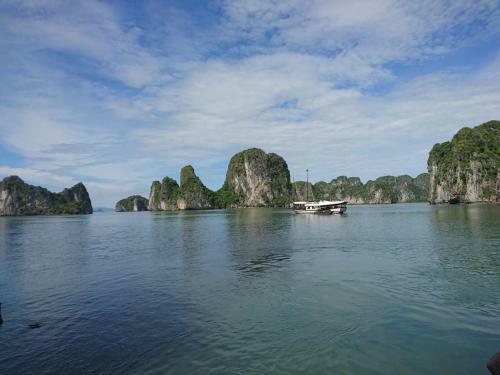 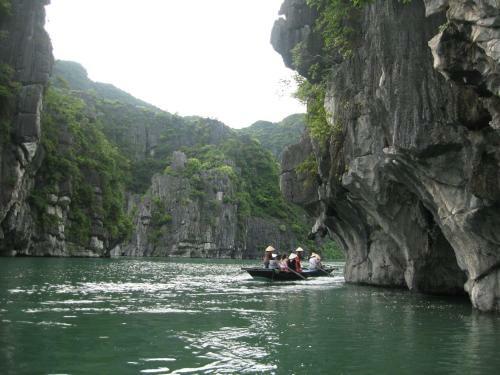 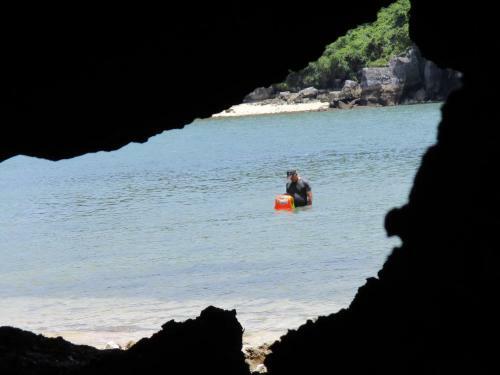 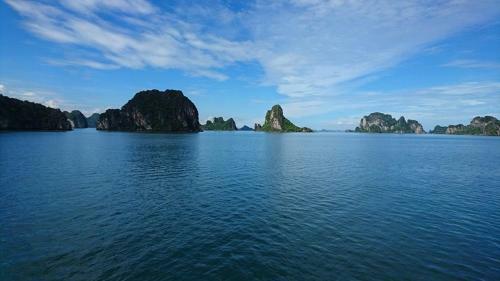 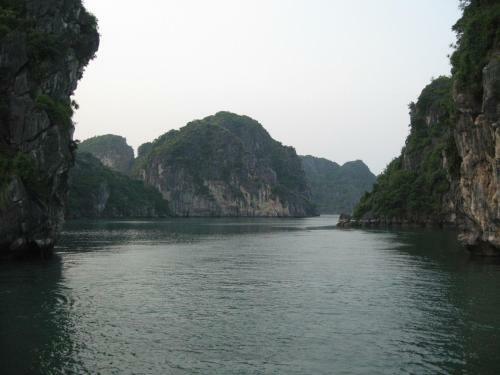 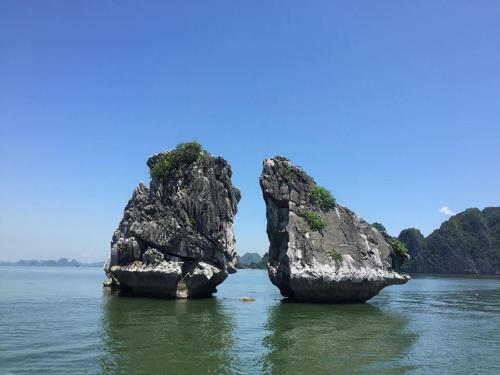 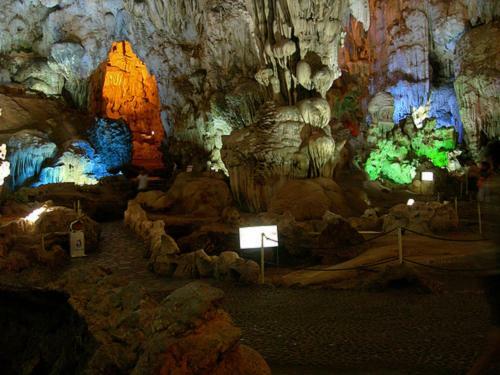 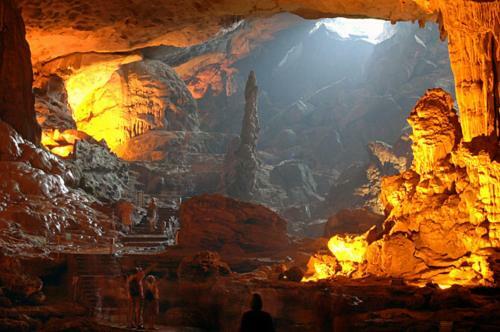 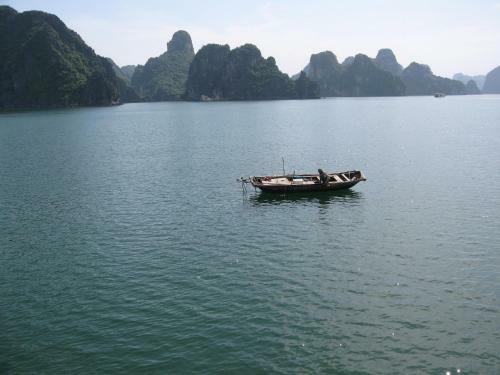 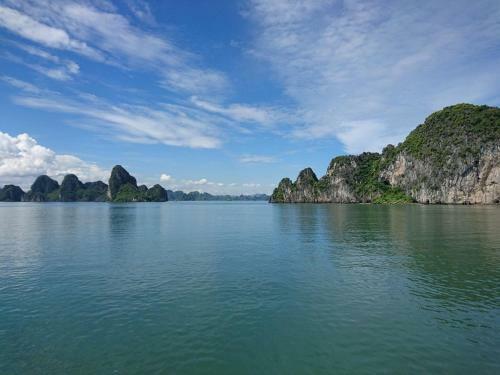 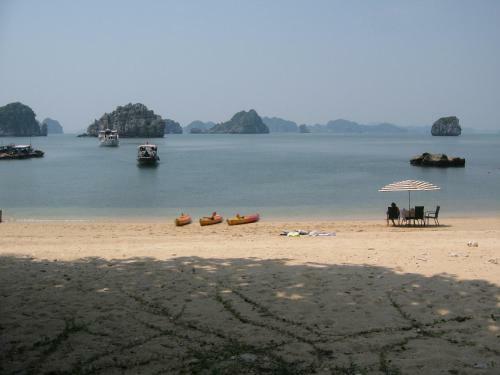 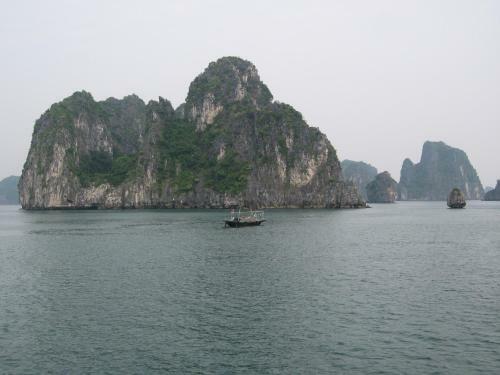 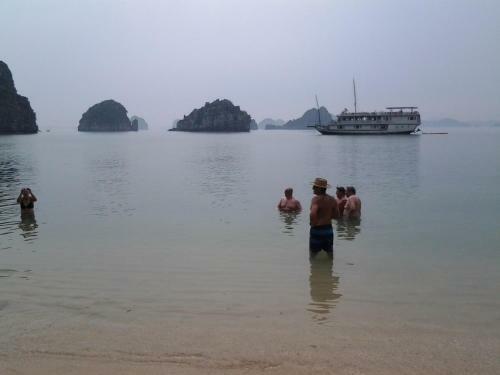 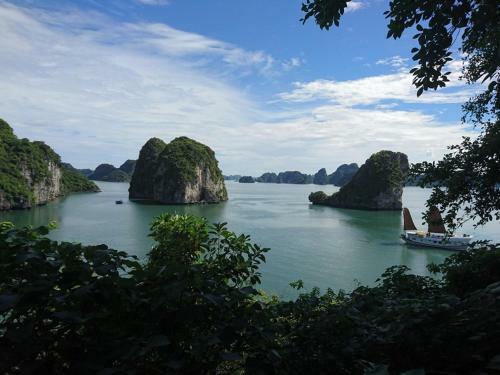 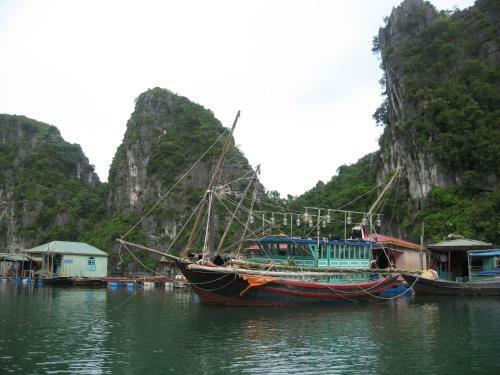 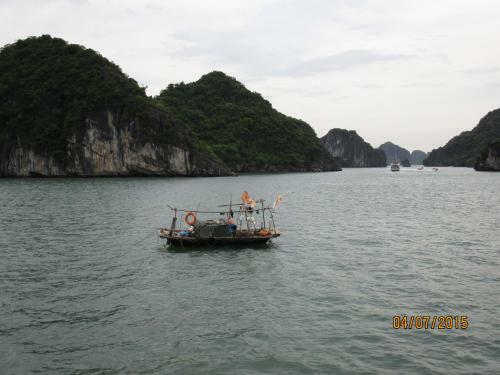 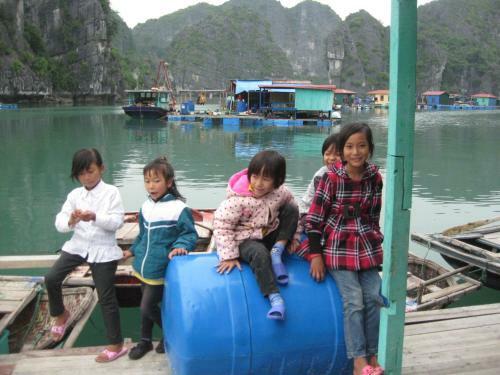 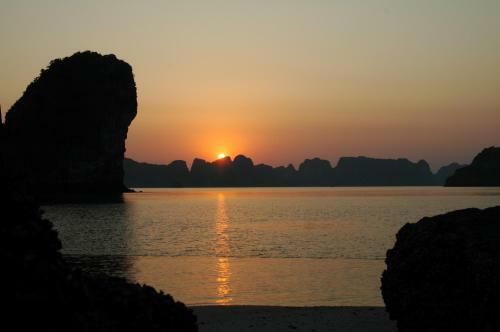 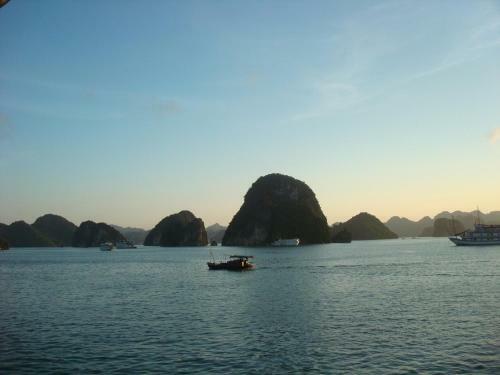 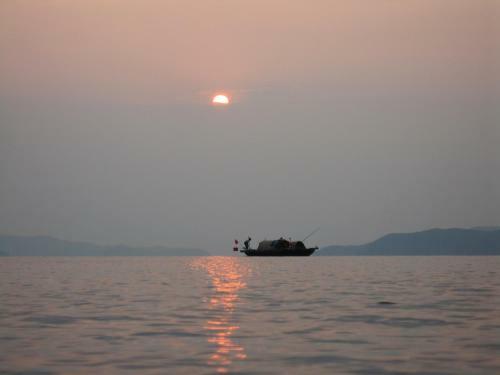 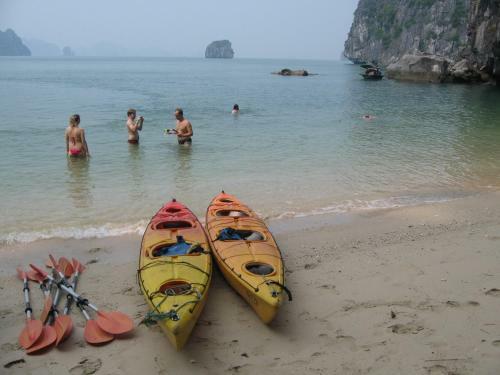 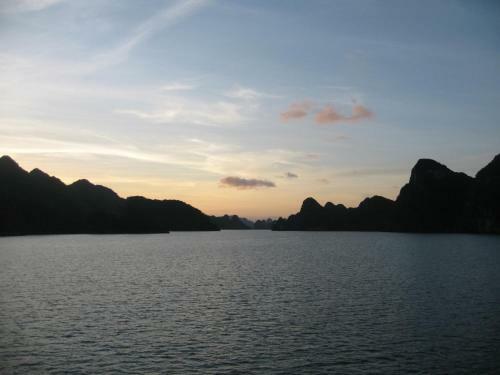 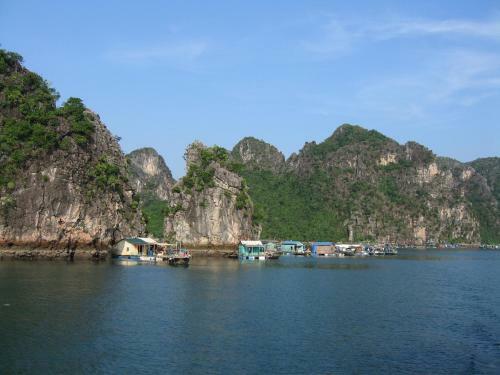 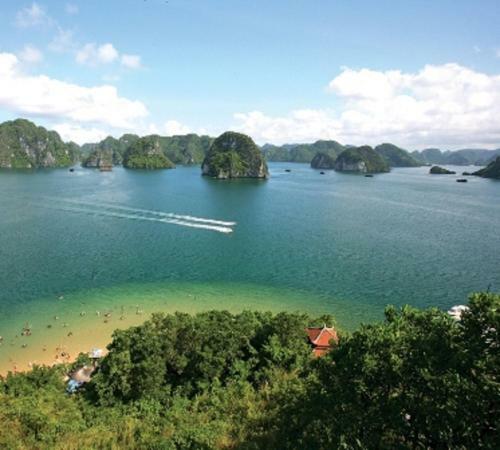 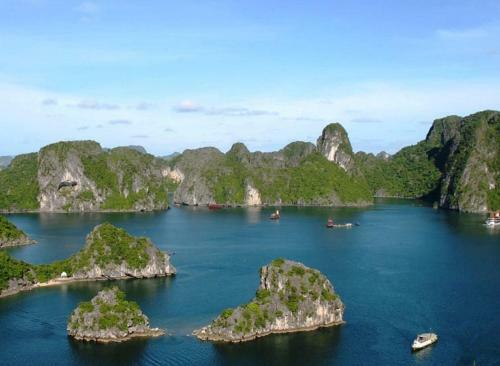 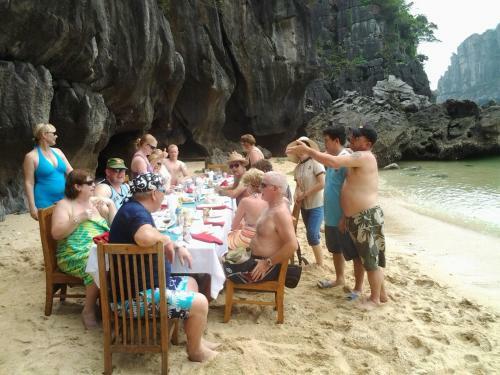 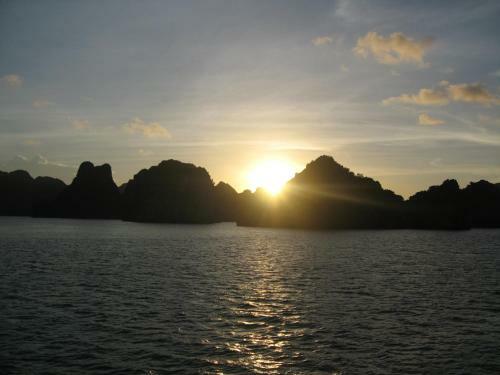 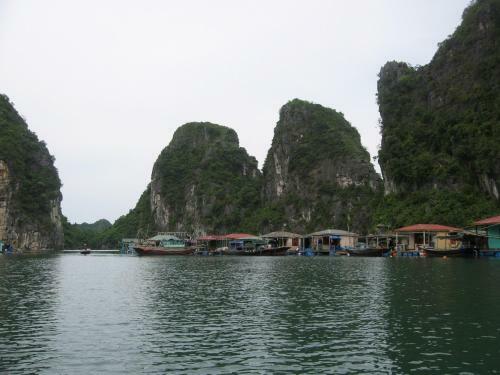 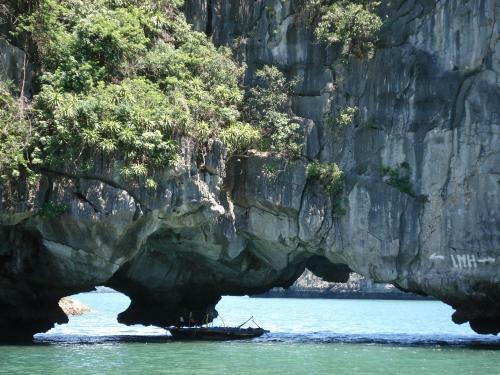 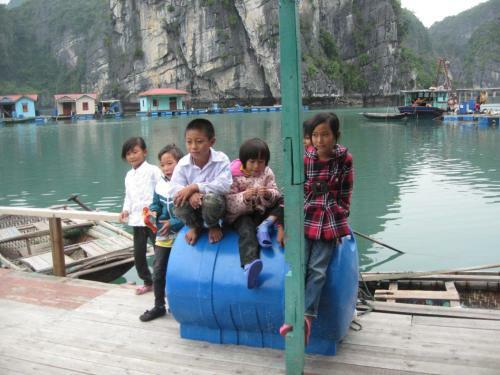 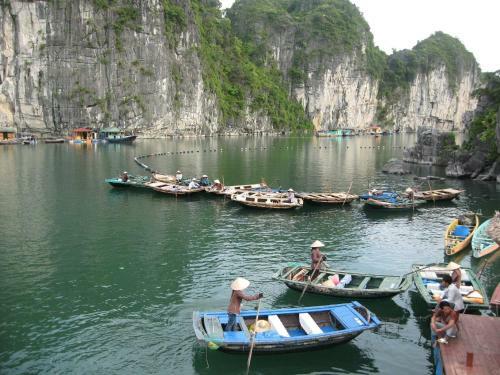 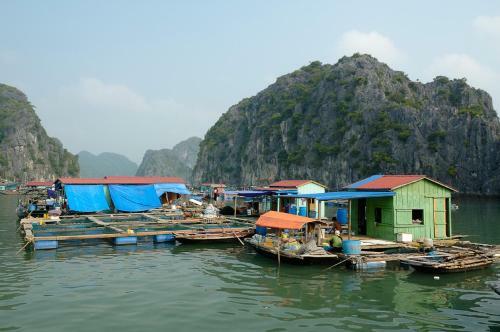 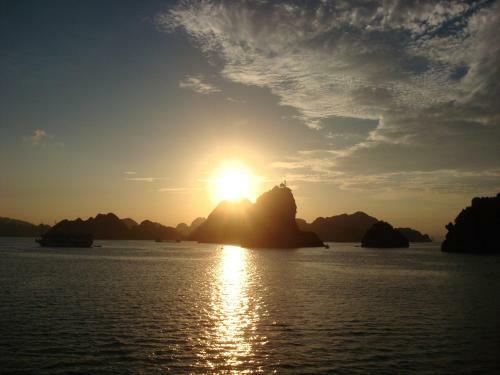 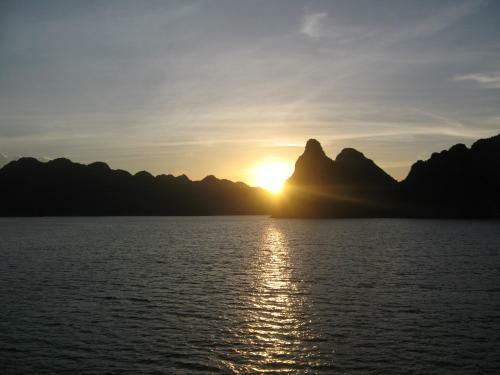 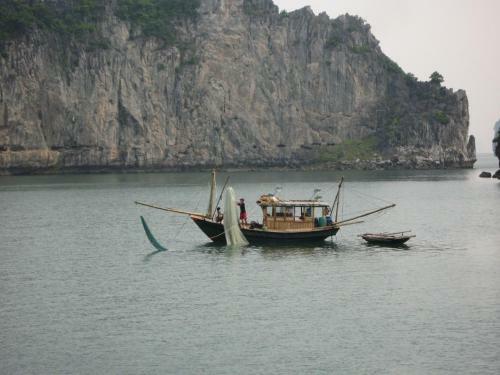 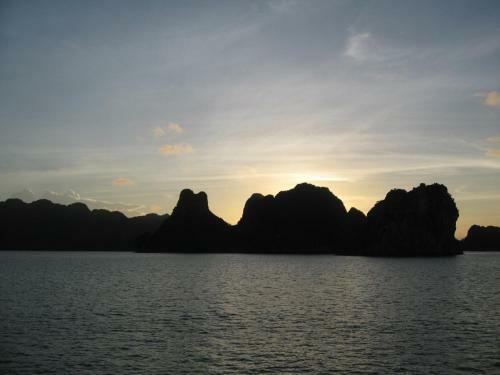 Various recreational activities such as kayaking and caving are available on Halong Bay. 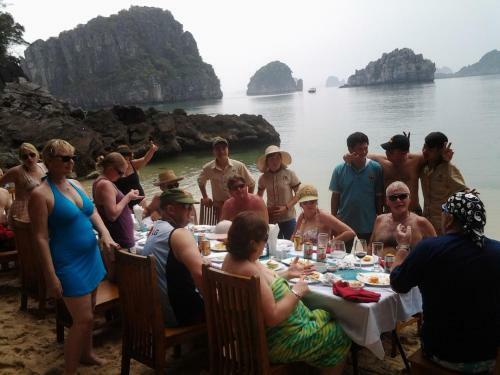 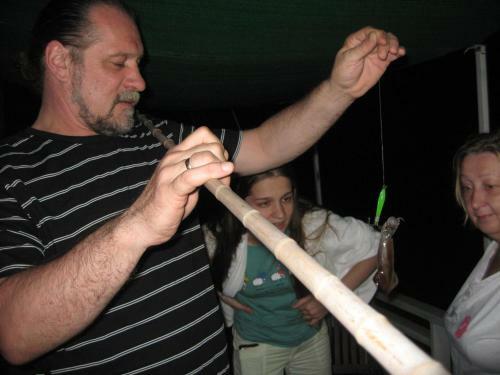 For a different experience, they could take up Vietnamese cooking lessons. 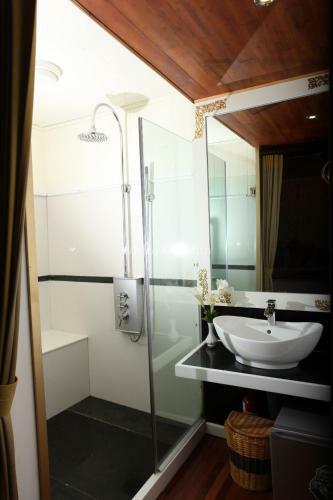 A safety deposit box is available at reception. 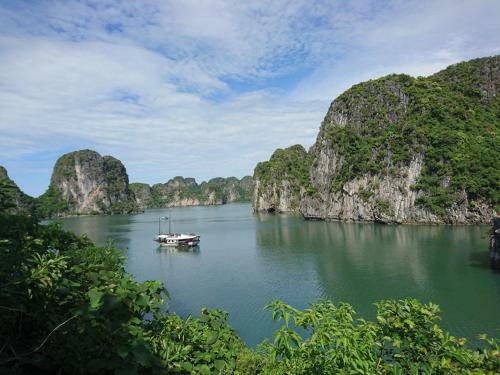 Car rental and shuttle bus services are available at a fee. 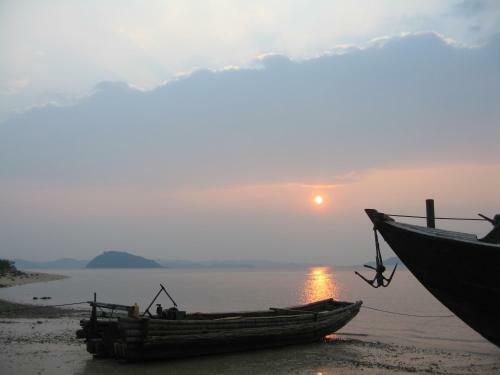 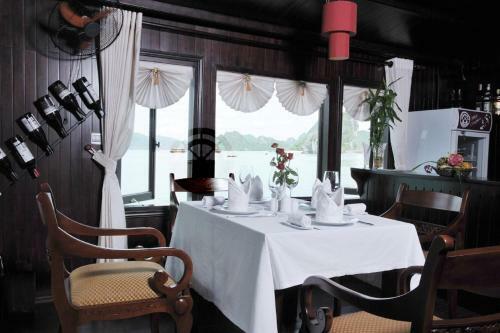 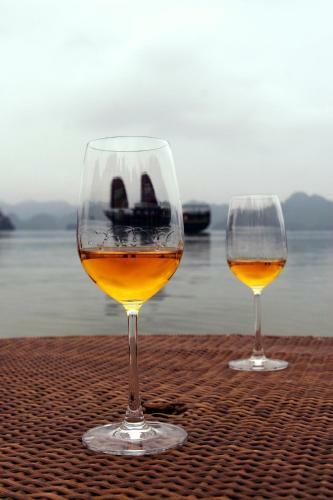 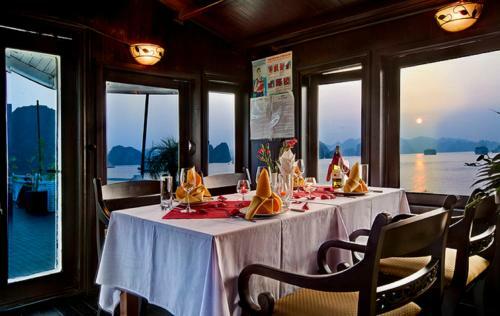 White Dolphin Cruise is less than a 4-hour drive from Hanoi Airport. 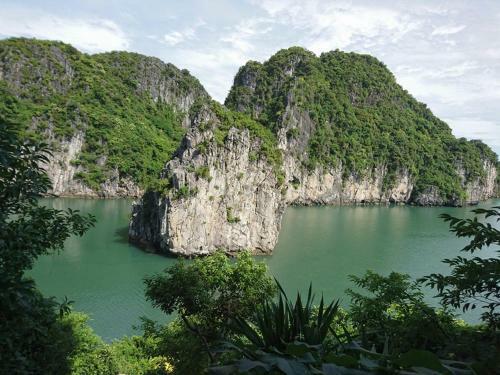 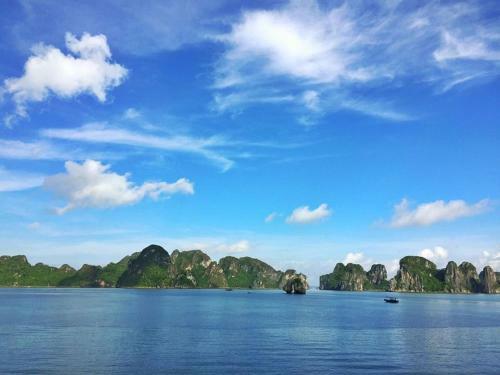 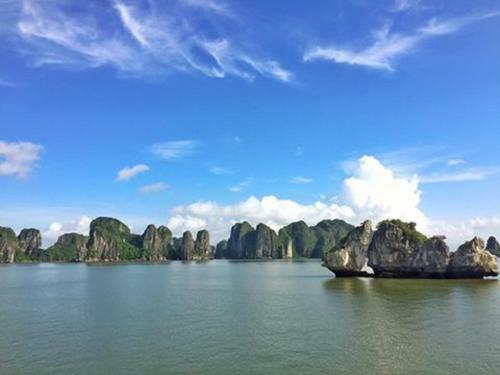 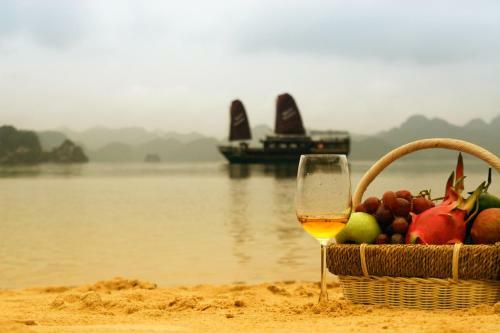 Room rate includes all meals, entrance and sight-seeing fees to visited sites, two-way shuttle from Hanoi hotel to Halong, kayaking, and a 2-day, 1-night excursion in Halong Bay. 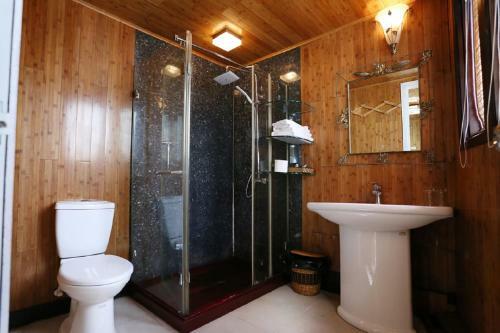 This twin/double room features a balcony, view and hot tub. 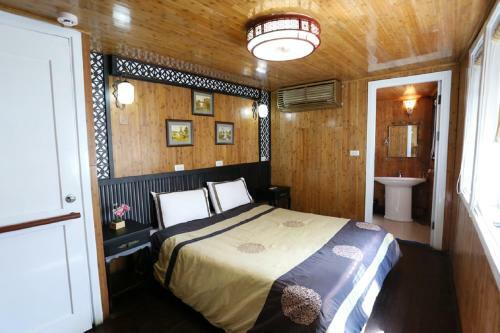 This twin/double room features a balcony, minibar and private entrance. 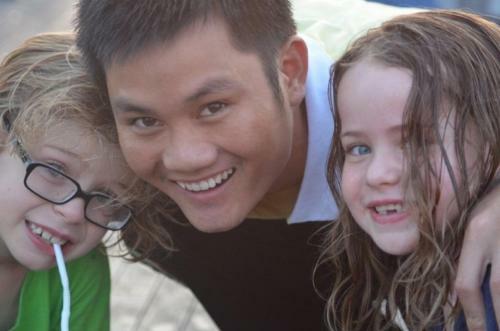 Ak zrušíte alebo zmeníte rezerváciu do 2 dní pred dátumom príchodu, nebude účtovaný žiadny poplatok. 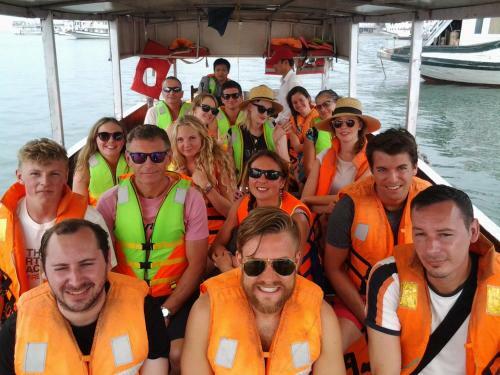 Ak zrušíte alebo zmeníte rezerváciu neskôr alebo sa nedostavíte, bude vám účtovaná celková cena rezervácie. 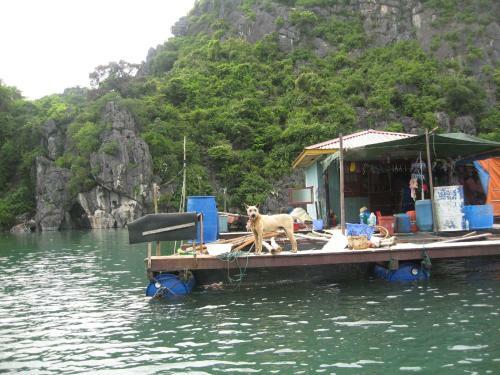 Pripojenie na internet nie je k dispozícii.